T-Mobile today announced that the iPhone 6s and iPhone 6s Plus will be available in "select MetroPCS stores in Florida" beginning tomorrow, July 1, with a nationwide rollout expected to launch soon. 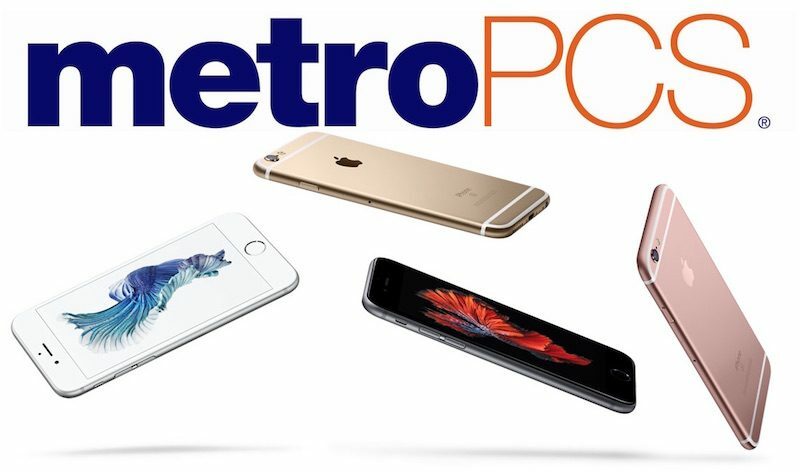 T-Mobile acquired MetroPCS -- which is a prepaid alternative to traditional subsidized carriers -- back in 2013, but this will mark the first time Apple's iPhone will appear as an option on MetroPCS' plans. MetroPCS is the flagship prepaid brand of T-Mobile US, Inc., and a leading provider of unlimited talk, text and data plans with taxes and regulatory fees included – there are no surprises, period. MetroPCS offers the freedom and convenience of an affordable, no-contract wireless service, riding on T-Mobile’s blazing-fast nationwide network. Specifically, the prepaid carrier will offer the iPhone 6s and 6s Plus for its customers, available at the price points of $649 and $749, respectively. MetroPCS will also offer the 4-inch iPhone SE for $349 and the iPhone 5s for $199. Today's news comes over two years after T-Mobile said that it was "very interested" in bringing the iPhone to MetroPCS, without giving any hint as to exactly when it would make the move. Although owned by T-Mobile, MetroPCS runs as its own, separate brand from T-Mobile's "Un-carrier" services. MetroPCS customers can't afford $649 and $749 phones. Sorry but that's the truth. Want to be a troll somewhere else? Metro PCS probably offers financing or credit cards are used to purchase major consumer electronics. You aren't a bright individual are you? Someone's choice of a carrier doesn't mean they can't afford it or else they wouldn't be bringing the phone to the network? If anything their users can afford it since they actually have to pay full retail. No eip or two year contracts. Sprint used to brand themselves as Sprint PCS back in the late 90s/early 2000s. I had no idea! Seriously? WHAT! I've been in tech my whole life, however I've never learned the definition of PCS until now. Mind blown. Thanks for the link! 749 is nothing. Why do people get so hung up on brand names though? It's rebranded T-Mobile service. The brand like all other prepaid brands caters to budget conscious people. I wouldn't care if a company came along and called themselves ghetto mobile. If they had affordable plans with good service id switch lol.